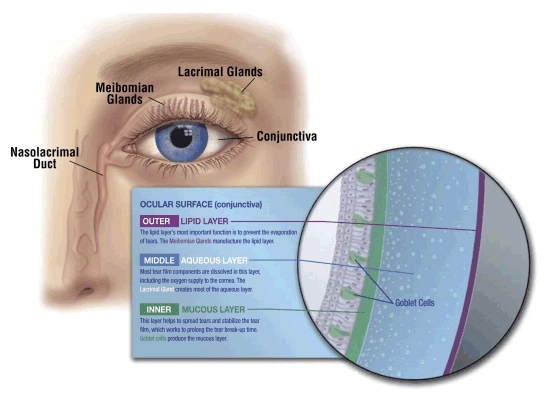 Dry eye syndrome is a complex condition that affects 10-20% of the US population. Unfortunately, dry eyes are often untreated or treated inadequately and patients continue to bear with the symptoms of dry eyes unnecessarily. The Olympia Vision Clinic was established to address this pressing problem. At Olympia Vision Clinic, our doctors are trained to provide you with specialized dry eye testing and a thorough evaluation of your dry eye condition. Your doctor will accurately diagnose the cause of your dry eyes and institute a treatment regimen customized for you. Our goal will always be to provide you real, symptomatic relief for the short and long term.